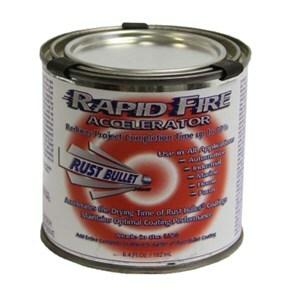 Rust Bullet Rapid Fire Accelerator is a 100% solids proprietary additive for all Rust Bullet Coatings. Rust Bullet Rapid Fire Accelerator significantly reduces recoat and overcoat times up to 80% and effectively reduces completion times even in temperatures as low as 30F (-1.1 C). 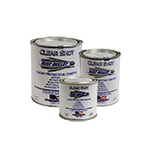 Dry time is reduced from 4 hours to 30 minutes, while maintaining optimal coating performance. 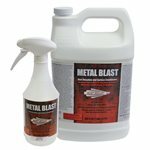 Rust Bullet Rapid Fire also helps eliminate CO2 bubbling typically caused by excessive coating film application. 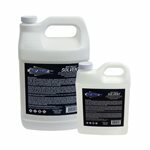 Designed for spray applications.